Walter Fisher was a successful high-stakes gambler, with a physique and lifestyle he was proud of to boot, until he lost it all and ended up in hundreds of thousands of dollars of debt. As his debts rose, Walter recalled, his waistline also grew. Worried onlookers saw the 6-foot-1 man eat his way through a diet of cake, veal and pizza at the poker table until he tipped the scales at 245 pounds. 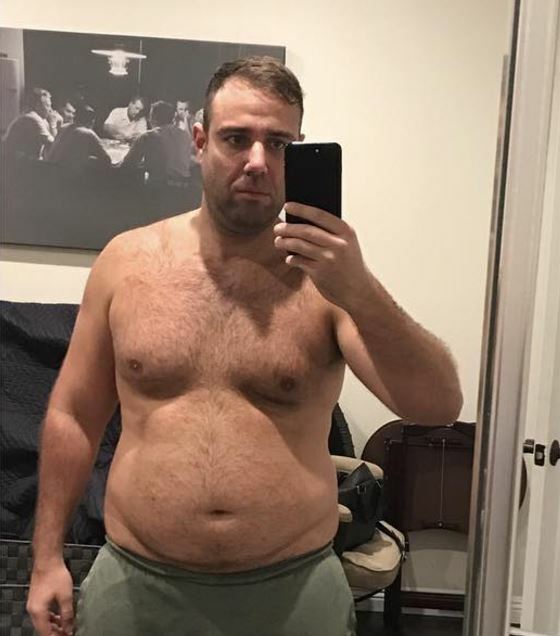 Then, in December, an opportunistic gambling acquaintance bet Fisher $500,000 that he could not reduce his body fat to less than 10 per cent in six months – his body fat, at that time, was 33 per cent, he told The New York Post. Fisher booked the bet, and tapped two high-stakes friends, including Dan Bilzerian, for backing. In a single month, more than $1 million in wagers had been lined up. So Fisher got serious, and after trying to go it alone realised he needed help. He enlisted Chris DiVecchio, a personal trainer and the owner of Premier Mind & Body in Los Angeles, and began an extreme daily workout regime and diet plan, with the help of sports medicine nutritionist Phil Goglia. We started with 30 minutes of high-intensity interval training and an hour of weights, seven days per week. Then we went to 45-minutes of cardio and two hours of high-intensity interval training, plus weights. I ate oatmeal and egg whites for breakfast. I soon put in 10 hours a day, with five hours of cardio. I drank amino acids and glutamine to keep my muscles from breaking down. DiVecchio trained him to do five one-hour cardio sessions, plus 75-minutes of weight lifting, then take an hour break. The extreme regime caused his legs to burn out so Walter would recover in cryotherapy sessions. His diet was transformed to that of a pro triathlon runner or a body builder and incorporated carbohydrate cycling which teaches the body to use fat more effectively. Get with the right nutritionist and trainer and everyone is different. Get your lipids tested and than go from there. Everything plays a role in a persons fitness threshold and profile. From there you built yourself a program that suits you best. Eventually, the extreme workouts and strict diet – which is only recommended for professionals – paid off and Walter’s body fat dropped to a minuscule 8.8 per cent by June 22. To have gone from an absolute low to where I am now is an achievement and a transformation. A lot of people talk big games – and 99 per cent of them would not be able to do what I did, even with the money as an incentive – but I backed it up. I backed it up and it makes me feel like there is absolutely nothing I can’t do. After all, he’s got a lot of money to spend on pizza now and, if you ask me, he’s earned a few slices!